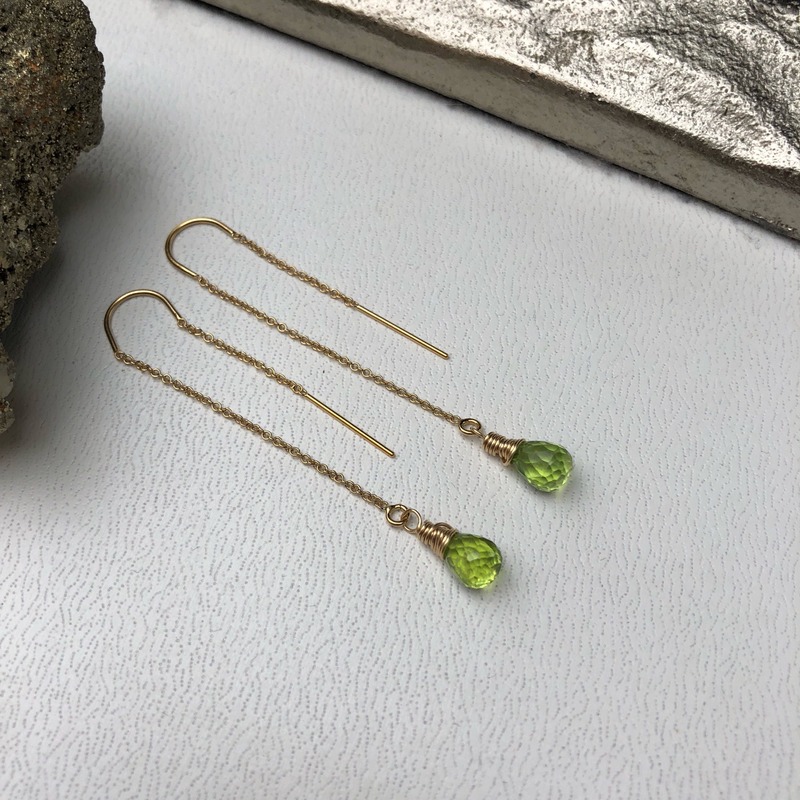 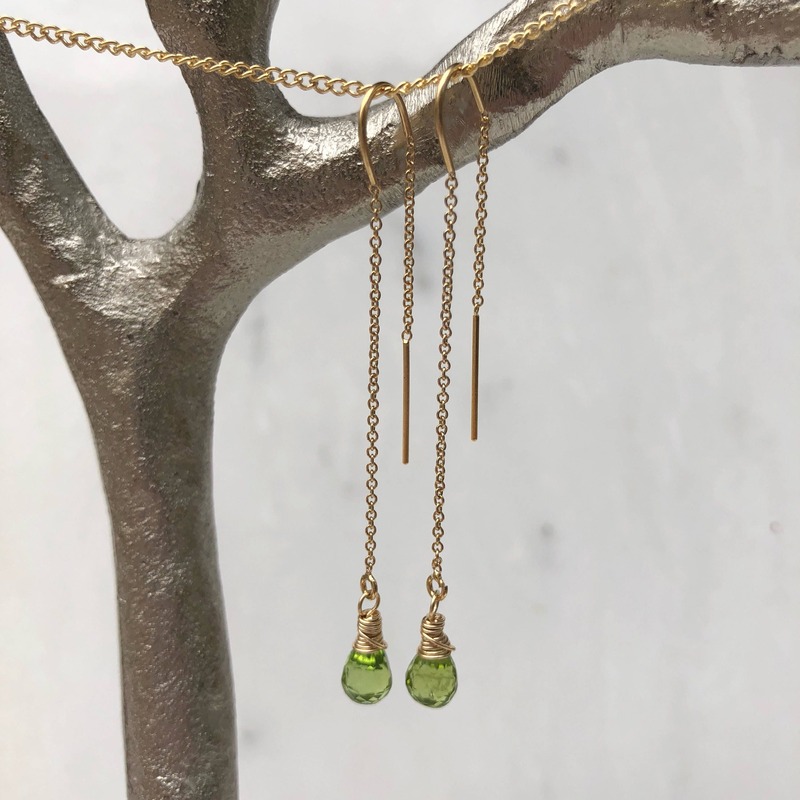 Perfectly plump, beautifully faceted AAA peridot briolettes are wrapped in 14kt gold-filled wire and affixed to delicate 14kt gold-filled ear threads. 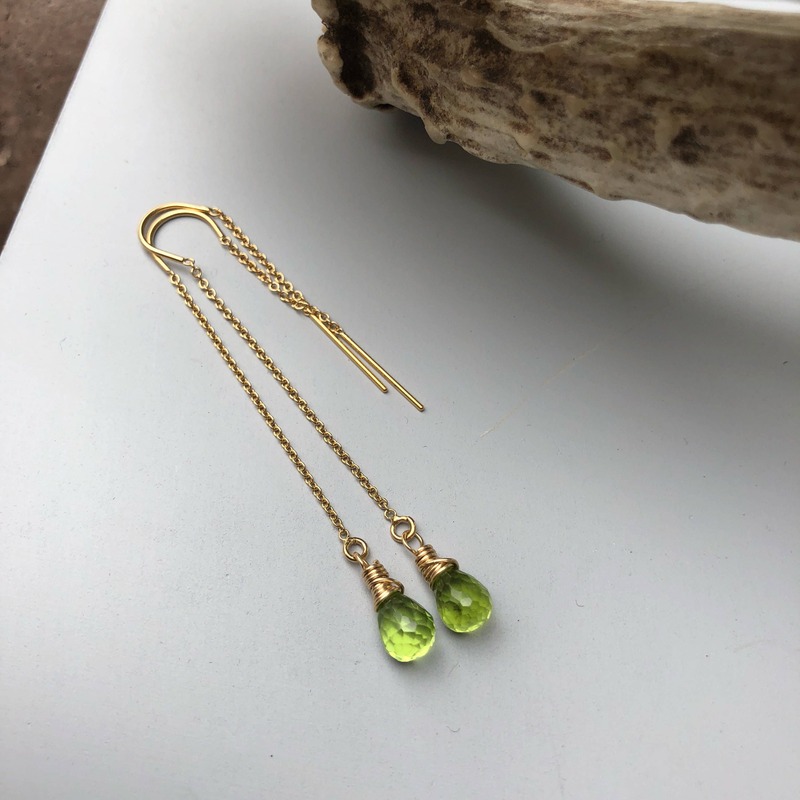 These petite gems are the most luscious shade of apple green! 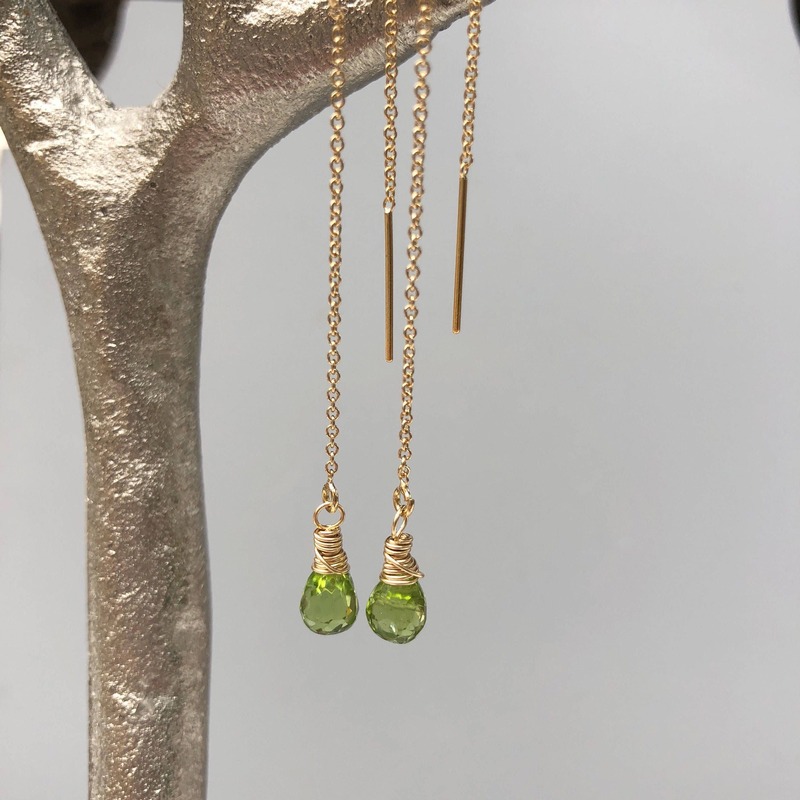 Elegant, lightweight, and a perfect choice for those with sensitive ears.